Home NFL AFC South How long will Derrick Henry be a Titan? How long will Derrick Henry be a Titan? With the offensive style of Matt LaFleur and signing of Dion Lewis, are Derrick Henry's days as a Titan numbered? 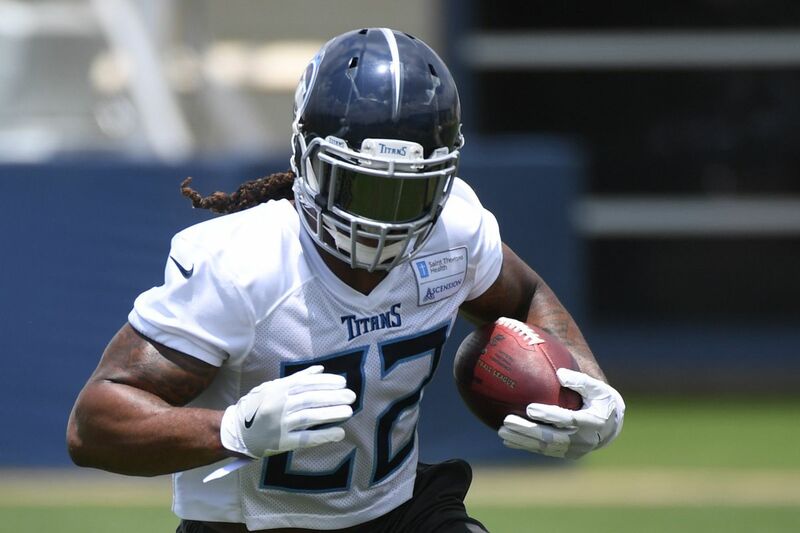 One of my buddies made a comment that he thinks Derrick Henry won’t be on the team in two years, and it got me thinking, what is Henry’s time with the Tennessee Titans going to look like? Jon Robinson continued his streak of bringing in former New England Patriots, when he signed running back Dion Lewis to a four-year, $19.8 million deal this past offseason. Robinson also nabbed cornerback Malcom Butler and picked up fellow secondary member Logan Ryan the offseason before. After Robinson signed Lewis, I began asking the question, how much is this signing going to affect Derrick Henry? Robinson selected Henry in the second round of the 2016 draft, number 45 overall. This completed a Heisman-laced backfield with Marcus Mariota and the massive running back from the University of Alabama. This pick was perplexing to me at the time because the Titans had just traded for former rushing champ DeMarco Murray from the Philadelphia Eagles. This draft pick proved to be a good one, as two years has passed and Murray has moved on from the Titans and his playing days as a whole, as he is now an analyst for Fox. It was obviously beneficial for Derrick Henry to sit behind Murray for about a year and a half before taking the reigns as the starter, but where does Henry fit in with the Titans going forward? Henry is not the prototypical NFL running back in this day and age, especially in a Matt LaFleur offense that utilizes a speedier, shiftier back. Henry wasn’t properly used in the offense last year, much like every other player on the offensive side of the ball. The Florida native was run primarily between the tackles, a place that a running back standing 6’3” and 247 pounds couldn’t find much room. Henry had a multitude of success when running off-tackle. Against the Texans and the Colts, Henry sealed the game with runs on the outside. Two runs that propelled the Titans to the playoffs. Lewis and Henry have split time with the first-team offense, with Lewis dazzling in his Titans preseason games. 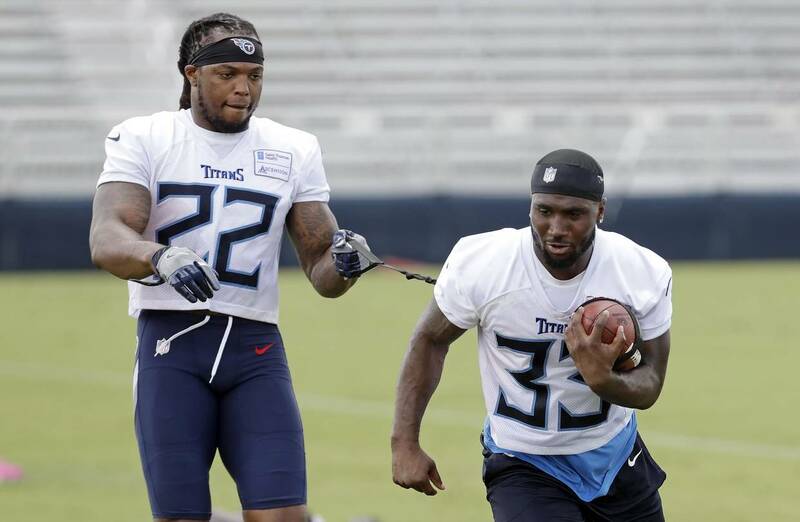 Lewis is obviously built for the modern-day NFL but one is quick to forget that Todd Gurley favors in size (6’4”, 224 pounds) more with Derrick Henry than Dion Lewis (5’8”, 195 pounds). Lewis torched the Titans a season ago and put them out of the playoffs with 15 carries, 62 yards along with nine receptions for 79 yards. Gurley torched the Titans with 118 yards on the ground and 158 receiving yards and two touchdowns. No doubt the Titans were looking to replace DeMarco Murray with a solid receiving back, a skill that Derrick Henry lacks in, as well as pass-protection. I see Matt LaFleur using Lewis more than Henry this season, as Lewis has more shiftiness and explosiveness than Henry. I expect Henry to stay on the team until his rookie contract expires, but not any longer after that. My name is Elijah Wilson and I am from a town just outside Nashville called Lebanon, better known as where Cracker Barrel originated. Although I grew up in Tennessee, I am not a University of Tennessee fan. My mother raised me right as a Fightin’ Texas Aggie fan. I am a Sports Broadcasting major at Austin Peay State University in Clarksville, TN, and our mantra is, “Let’s Go Peay.” The only thing I hate more than people smacking their food is suffering a non-lottery pick Memphis Grizzlies season and getting beat in the first round of the playoffs.